Text While face-up on the field, this card is also WIND-Attribute. 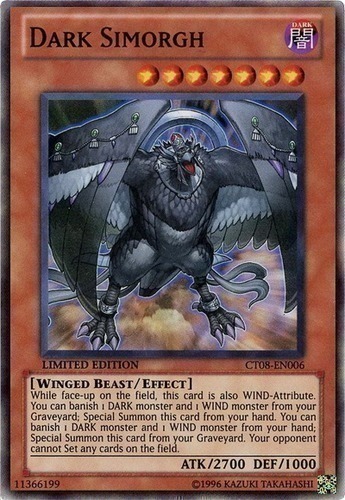 You can banish 1 DARK monster and 1 WIND monster from your Graveyard; Special Summon this card from your hand. You can banish 1 DARK monster and 1 WIND monster from your hand; Special Summon this card from your Graveyard. Your opponent cannot Set any cards on the field.